When clients learn that a bankruptcy attorney is going to charge over $2,000 to handle a chapter 7 bankruptcy, the thought of proceeding pro se can be attractive. Filing for bankruptcy pro se means acting on one’s own behalf before the bankruptcy court. In other words, filing pro se means that you are representing yourself rather than hiring an attorney to represent you. The main advantage of filing pro se is clear: it costs a lot less than hiring a $2,000 bankruptcy attorney. However, the disadvantages of filing pro se often outweigh the cost advantage in light of the complexity of consumer bankruptcy cases and the likelihood of non-experts making severe mistakes in completing the bankruptcy documents. Simply put, the likelihood of non-experts making errors when completing the 30-40 pages of bankruptcy documents (petition, statements, and schedules) are high. Completing the bankruptcy documents is not as simple as filling in the blanks. If that were the case, no one would ever hire a skilled bankruptcy attorney. In practice, completing the bankruptcy documents requires applying bankruptcy law (Title 11 of the United States Code and relevant case law) to the facts underlying the case. For instance, on the first page of the bankruptcy petition the debtor is asked a deceptively complex question: whether their debts are primarily consumer debts or business debts. If the debtor marks the consumer debts checkbox they must apply and pass the means test to qualify for chapter 7 bankruptcy. However, bankruptcy attorneys will know that this question is misleading, as the bankruptcy code does not define “business debts,” and in practice there are only consumer debts incurred primarily for personal, individual, or household purposes and non-consumer debts. Consequently, a pro se debtor who is filling out their own bankruptcy petition and who has primarily non-consumer debts, but who does not own a business, may be misled by the question and incorrectly mark the “consumer debts” checkbox, thereby subjecting themselves to the means test. If they fail the means test they may be forced to file a disadvantageous chapter 13 bankruptcy, all because they checked the wrong box. 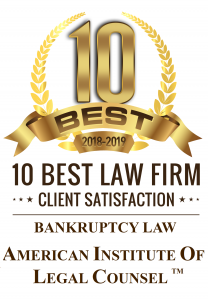 Therefore, bankruptcy attorneys demonstrate their value by applying their knowledge of the law in completing the bankruptcy documents to advance their client’s interests. The consequences of incorrectly completing the bankruptcy documents are many. At the least, you will aggravate the Trustee who will question you during the meeting of creditors. More likely, you will incorrectly report your exempt assets in chapter 7 bankruptcy causing the omitted exempt asset to be sold. Hence, bankruptcy attorneys again demonstrate their value by using their knowledge of the law to protect your assets during chapter 7 bankruptcy.